Such a beautiful sight isn't it with the gulls swooping and cawing over the heavy machines as they push the leftovers of our society back and forth. Ok I was lying a bit there I don't think trash and the landfills they end up in are a beautiful thing in fact they are a terrible blight on our planet. It doesn't have to be that way all we have to do is completely change how our society functions and how it creates and disposes of things. Building a no trash lifestyle is a daunting prospect in today's modern use it and throw it away society. You will face strong opinions ,weird looks and it may actually prevent you from participating in some aspects of modern life. But if you are an environmentally conscious person and you don't like the fact we are throwing away 251 million tons of trash a year in this country you may not give a crap what others think. If that's true then congrats and welcome to a subset of society of does its best to live a trash free life. Living a 100% trash free life is impossible I just have to get that out there. From the earliest cave man to the most technology savvy among us trash has always and will continue to be produced. What has changed about humans and trash they make is the type and volume of trash. It wasn't to many years ago that we didn't have a use and throw it society. Everything we had was either made by hand or was so expensive that you couldn't afford to replace it. So everyone bought quality things and they took care of their tools and possessions. That just doesn't happen anymore, when your DVD player breaks you don't get it fixed you toss it and replace it. So just by a quick glance at this list there are a few things that should jumping out at you. Over 50% of what we throw away could be composted and returned to the environment as fertilizer and mulch. Second you have materials like metal and glass which are 100% recyclable being thrown away. You can also recycle plastics to an extent but every time they are recycled they lose quality and they will eventually be trashed. What this adds up to was that if as a society we recycled or composted everything we could, we could reduce our waste by 75% conservatively. But society isn't interested in reducing its trash because we have done such an effective job at the out of sight out of mind game that most people don't even know there is a problem. So if you want to live a trash free life it has to be done on a personal scale with you doing what you can to reduce your trash. Pretty much all trash that enters the home ends up there because you bought something. So if you are more aware of what you are buying and the packaging it comes in you can reduce your trash in this way. For example I just bought a laptop, this laptop came in a brown cardboard box that was printed on with only 100% soy ink. Half the reason I bought this laptop was the packaging it came in. Since the box was cardboard and printed on with natural biodegradable ink I could safely compost it and add it to my garden. The food you buy is big source of trash in the home with all the packaging that comes with it. 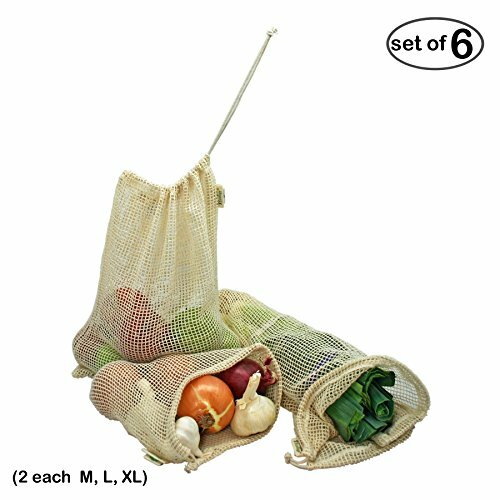 When you buy fruits and vegetables bring your own mesh or cloth bags for carrying the produce. This way you don't have to use the disposable ones they have. Plus don't forget the cloth bags for carrying the groceries out of the store. Go to the bakery and the local butcher for bread and meat since they can package them in compostable materials like paper. Shop for basic staple like beans, rice and cereals in the bulk foods section so you can fill your own containers. To sum it up look at what you buy and ask yourself do I need this, is what it comes in compostable or recyclable or can I find a trash free alternative. Most of the battle when it comes to living a trash free lifes is to approach how you run your daily life in a different way. The opportunities to produce trash are boundless in our society. You want a cup of coffee in comes in a Styrofoam cup. You wash your hands there is paper towels to dry them with. You go out to eat and you can't finish it all so you are stuck between tossing the food or taking it home in the plastic or Styrofoam box. I mean you can get around some things like reusable coffee mugs and air dryers for your hands but when you pull that Tupperware out at the restaurant that's when it gets awkward. If you can get past the awkwardness, the stares, and the strong opinions then a trash free life is a good one to live. It can be a daily struggle but once you break a few habits, learn a few new ones and figure out how to look at the world through different eyes it can be done.. To help you out with this I have a few basic tenets for you to follow as you journey towards a trash free life. Use reusable, recyclable, or compostable containers whenever possible. Buy things with the least amount of packing possible. If you can't compost it, recycle it, or reuse it then you don't need it. Avoid plastic if possible it always ends up in the trash. Don't be afraid to do things others might consider strange. I would highly recommend this book. 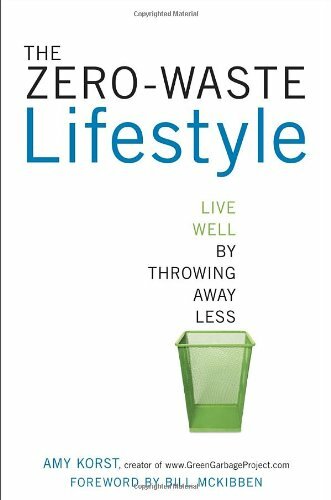 It is the one that inspired me to begin on the journey towards a trash free life.